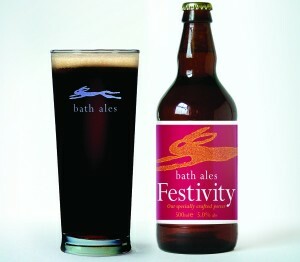 Back by popular demand, Bath Ales’ Festivity beer is adding its own seasonal cheer to pubs and bars this Christmas. The festive beer has become a fixed seasonal brew for the South West brewery and returns from November onwards as both cask beer and in 500ml bottles. A specially crafted porter, Festivity is a true seasonal beer brewed using floor-malted Maris Otter barley and roasted chocolate malt, together with Challenger and Bramling Cross hops from Kent. Dark ruby in colour, Festivity is brewed at 5.0% ABV and its hint of rum mingled with vanilla has earned it a loyal following. Commenting on its return, Gerry Condell, head brewer of Bath Ales said: “Festivity is our take on a winter warmer, a wonderful old style porter; it’s a fittingly festive beer that’s in demand every year. Festivity is available on draught in pubs and bars now and it is also available in bottle, microcask and gift packs direct from Bath Ales’ Bristol brewery shop and online at www.bathales.com.